So popular, we regularly sample this delicious Roasted Raspberry Chipotle Sauce in the store. This thick sauce is bursting with flavor and deep red in color. 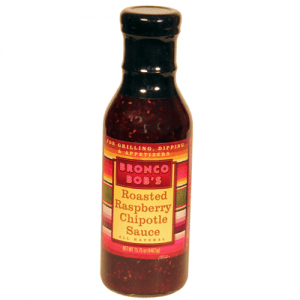 Customers most often use it on pork (tenderloins, chops, ribs), hams, salmon and chicken. Others also pour it over cream cheese and serve with crackers. It’s a great, versatile sauce to keep in your pantry.